DM Metalloys Pvt. 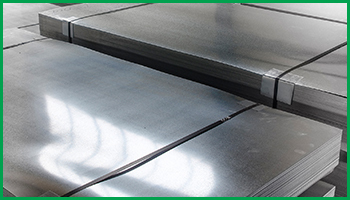 Ltd. is a leading manufacturer, exporter and supplier of stainless steel 304/304L/316/316L No.4 Finish plates. No. 4 Finish is produced with short, parallel polishing lines. These lines extend uniformly along the length of the coil. It is obtained by mechanically polishing a No. 3 finish with gradually finer abrasives. Contingent on requirements, the final finish can be between 120 to 320 grit. High grit statistics create finer polishing lines and more thoughtful finishes. The surface roughness is typically Ra 25 micro-inches or less. DM Metalloys Pvt. Ltd. Supplies Stainless Steel No.4 Finish 304, 304L, 316, 316L Plates in Faridabad, Gurgaon, Gurugram, Gaziabad, Noida, Lukhnow, Delhi, Delhi NCR, Ludhiana, Amritsar, Chandigarh, Jalandhar, Baddi, Punjab, Uttar Pradesh, Haryana, Mumbai, Pune, Sahibabad, Meerut, Manesar, Bhiwadi, Bawal, Neemrana, SIDCUL, Sonepat, Ambala, Mohali, Panchkula, Kapurthala, Bareli, Kanpur.